An unusual star-like planet was discovered in studies of "ultra-thin" planets that are extremely distant from their stars. The new observations were made using Hubble and Spitzer space telescopes and included analysis of gaseous giants similar to Jupiter but, unlike the largest planet in our Solar System, these planets have high temperatures and surprising chemical compositions that make them resembling stars rather than gaseous planets. However, a new study recently published by a research team including astrophysicist Michael Line, a professor at Arizona State University, suggests an explanation - these giant-rich planets have essentially normal compositions according to known aspects of planet formation . But what's different is that star-like atmospheres are more like star atmospheres than those of a planet, writes Science Daily. The greatest known of these planets was the reason why water vapors appear to be absent from the atmospheres of these worlds, as they are abundant in similar, but cooler planets. According to the new study, ultra-thin planes have the ingredients of water (hydrogen and oxygen atoms), but due to intense radiation on the star-exposed side, the temperatures rise enough so water molecules are disintegrated. Also, given the proximity to the star, these planets are "gravitationally attached" and can not rotate around their axis, which means that only half the planet will always be on the star, while the other half he will find himself in the dark. "The bright parts of these worlds are the furnaces"
Temperatures on the exposed side are between 2,000 and 3,000 degrees Celsius, being the hottest category of exoplanets known so far. "The luminous parts of these worlds are furnaces that look more like star atmospheres than planetary atmospheres," said Vivien Parmentier, astrophysicist at the Aix Marseille University in France and head of the study recently published in the journal Astronomy and Astrophysics. "In this way, this category extends our perspective on how planets should look," the researcher adds. 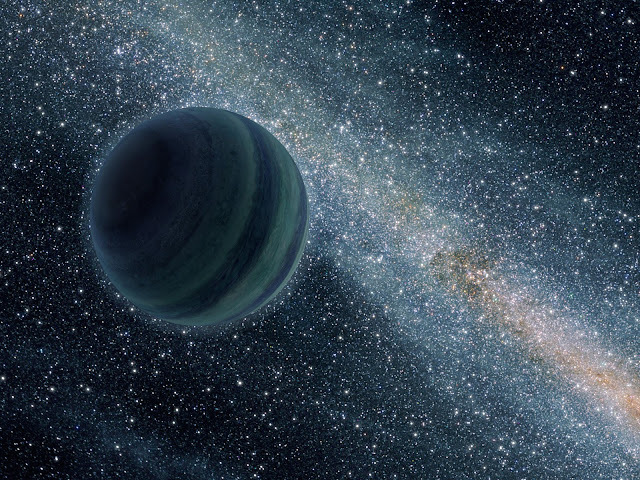 The planes studied in the new paper are WASP-103b, WASP-18b and HAT-P-7b, which suggests that strong winds would disintegrate molecules with water in the dark half of the planets. Here, atoms can be recombined into water molecules and form clouds that will migrate back to the light side where the H2O molecules that make up them will be disintegrated again.